We all love our pets. Who doesn’t? From fish to fido from cats to canaries, we love having our animal around us. If you are like most you especially love it when your best friend can impress others with their neat tricks. Here are six animal tricks that might have you running to obedience school. Meet the Parents wasn’t lying. You can toilet train fluffy! While there are a lot of training sets out there this one claims to be able to do it in three easy steps. As the reviews show not all felines take too kindly to being kicked out of their litter box. You can find other sets ranging in price from 29.99 to 59.99. Emergency room visits for your clawed-up face not included. While we all love our dogs we all hate house training. Even once they are house trained there is always the chance you miss their standing by the door resulting in an accident in your home. Ew. Well, this may relieve you (pun intended). Did you know you could train your pooch to ring a bell whenever he needs to go outside? That’s right, become your dog’s own page boy. The people over at Zak George’s Dog Training Revolution have created a great guide on how to get started. Best of all is you can use all types of bells – from doorbells to jingle bells. Most people do not think of birds as touchy-feely animals. They are something to look at, not play with. Don’t tell that to any true bird-lover. While we don’t often associate birds with tricks it may surprise you to learn that birds can learn quite a few neat commands. One of the most popular is ‘step-up’ where the bird, you guessed it, steps on to your finger or hand. One of the easiest tricks to train your feathered friend to do you will have your own pirate parrot in no-time. If you thought training birds was impossible, wait until you hear about this. Morethan just calming to look at it turns out fish can learn all kinds of tricks too. Of course, not all fish are fast learners. 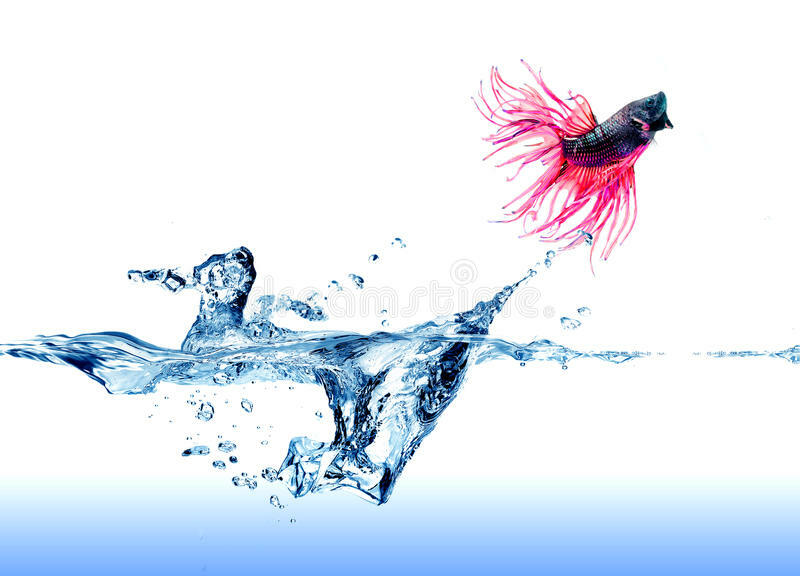 One of the quickest learners is the mighty Betta(also known as the Siamese Fighting fish) who you can train to swim through hoops, follow your finger, and jump out of the water into the air. That’s right, you can make your own Betta circus with all kinds of tricks. It’ll give a new meaning to flying fish. Read more about the Betta fish here. Dog’s aren’t the only ones who can learn tricks. You can train your cat to do some pretty neat tricks, one of which is to shake. It’ll take some time, and you will need to start young, but you can train your cat to shake hands. They will be handling business deals before you know it. Interested in more cat tricks? The nice people at Animal Planet have put together a guide, also check out this she knows article. Of course, cats are a bit more stubborn than dogs so results will vary. The popularity of these little guys has been increasing over the last few years. Part cat, part squirrel ferrets are rambunctious little guys who love to run around and get into whatever they can. This does not mean ferrets can't be trained to do some pretty fun tricks. In fact, there is a whole host of tricks you can teach your new hyperactive friend. Like the cat, one of the more fun tricks is how to shake hands. An easy trick that anyone can start with you might find your cat and ferret making deals all over the house. More ferret tricks here.